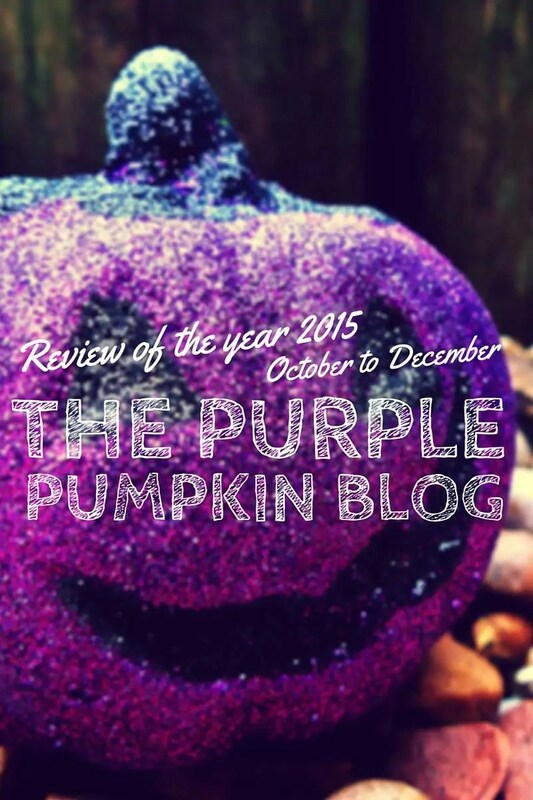 At last, the final part of my review of the year 2015! As I’ve written these up this afternoon, I realise just how much content I’ve put on my blog, that I’ve done more things than I realised. It’s just a shame my head doesn’t match that feeling. I’ve been all over the place this past year – especially the final 3 or 4 months, and it’s something for me to address in 2016. On though, with last instalment, and you can check out previous years here: 2014, 2013, and 2012. October brings my annual Halloween series – Crafty October. I wasn’t sure if I’d be able to commit to it fully as we were going on holiday during the month. But I knocked it out of the park, and worked really hard to get every single post done! A lot were printables, but some crafts and recipes did sneak in there! My Halloween printables were based on The Nightmare Before Christmas, and I LOVED them. I became obsessed with making them and making sure that I shared them all! I didn’t do too many crafts during Crafty October (which is how it started), but one of my favourites was the Halloween candle holder I made using vinyl and my Cricut Explore. I love when the seasons change, and Autumn is my favourite for the changes that appear. I love the photo for day 286 of Project 365:2015, which I called Spoils, as it was some of the things that my niece collected when we went to the park. We took off on our annual family holiday to Walt Disney World. I received a cabin bag to review, so wrote that, along with what’s in my cabin bag. Just a few days before going on holiday, I finally finished my Dine Around Disney 2014 Trip Report! We returned home from our Walt Disney World holiday, and I quickly wrote my Back Home: Highs, Not So Highs, and Lows post. Not one of mine, but a recipe from Walt Disney World, that I asked for when I had the most amazing mac ‘n’ cheese at Jiko: The Cooking Place, at Animal Kingdom Lodge. I wrote the index for my Halloween in the Wilderness 2015 Disney Trip Report. I’ve shared a couple of days, and will continue to do so in 2016. My husband and I had our 10 year anniversary (of being together as a couple!) in November. I was so lame and didn’t buy him a card, so I made a heart with a gold chain, and took a picture. That photo was especially for him on day 322 of Project 365:2015. I began my annual series – Create Christmas, but told you all that I knew I wouldn’t be able to commit fully. By now I was, and still am, wiped out in more ways than one. But I gave it a good go. All the things I did have planned I can do next year instead. In a fit of inspiration, I created my cute Christmas characters to use in my printables. I didn’t do half as many as planned, so will save the rest for next year. I worked with Balloon Time again, and showed you how to create a snowflake balloon display. I wrote day 3 of my Halloween in the Wilderness 2015 Disney Trip Report – when we finally checked into Wilderness Lodge. I sure do miss that resort! I worked with British Lion Eggs for a final time in 2015, and showed you 7 ways to make devilled eggs. They’re a great party canapé. We went to Disneyland Paris for Christmas with my sister and her family. I’ll be writing about it in the new year, as I’ve just run out of time in 2015. It was such a fun short break, and a lovely way to spend Christmas! What a fan last part of the year – let’s hope next year is as good for you . It’s weird how I thought 2015 was rubbish – when, looking back, it was better than I had remembered. Here’s to 2016!